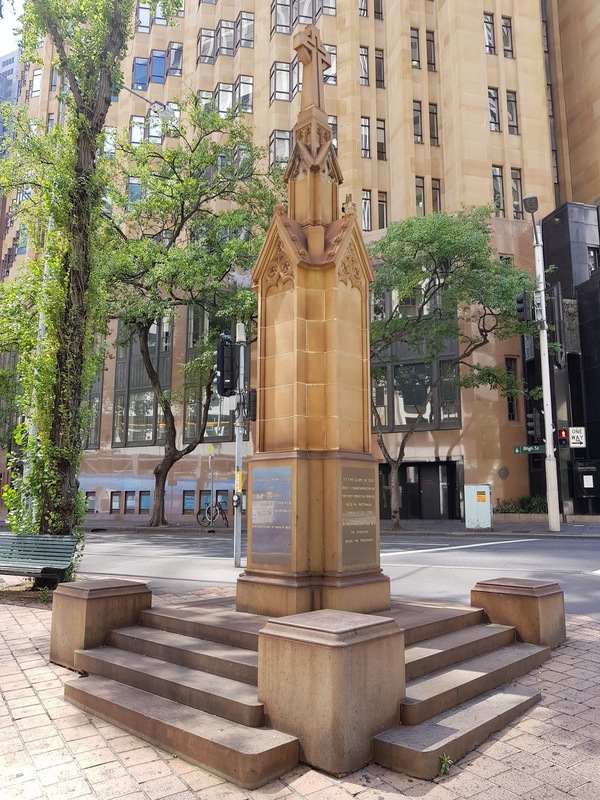 The Richard Johnson Obelsik is a Gothic Revival monument located in Richard Johnson Square, on the corner of Bligh Street and Hunter Street. It is on the site of the first church built in Australia, opened on 23 August 1793. The square was named for the first Anglican clergyman in Australia and pioneer farmer, Richard Johnson. This church burnt down on 1 October 1798 and the monument was completed on 19 March 1925. Linked to: Shadow Shot Sunday, InSPIREd Sunday, Sundays In My City. You do it so well, Jim: architecture against other brickwork and it's perfect ! That's a nice monument and you captured it well. Was the original church, opened in 1793, made of timber? What a shame it didn't last longer than five years. Hels, I believe it was a mud brick church. I see that spammer has hit here as well. ..the memorial has a wonderful style. That is a handsome monument.